$0.67 Gummie Bears = Cheap Easter Baster Goodies! 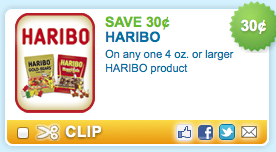 The great Haribo coupon is back, which means you can score cheap gummie bears at Walmart! These would make great Easter egg stuffers!